Please find some more fire incidents reported in the initial weeks of 2015. 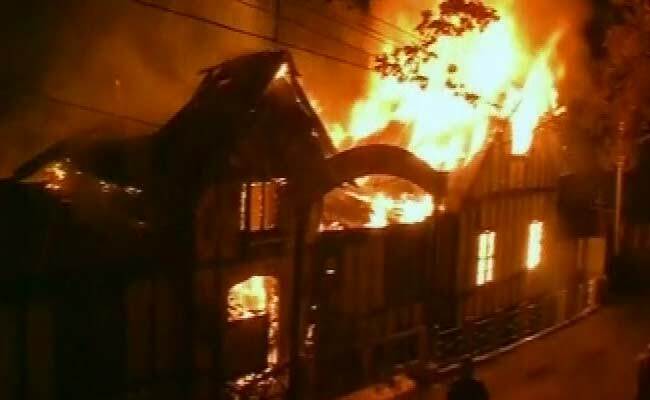 12 buildings were gutted by fire in Arunachal Pradesh and reduced to ashes in a devastating fire at Deb in Papum Pare district, police said. The inferno, which broke out in the wee hours, gutted 10 buildings and two granaries besides damaging other property worth over 25 lakh, Additional Deputy Commissioner Jalash Pertin said. The cause of the fire was reported to be an electric short circuit, Pertin said. However, there was no report of any injury, he said. A day ahead of its maiden voyage, a minor fire today broke out at a private luxury cruise liner. Fire brigade officials said the ship was anchored at a jetty near Botanical in Howrah and a short circuit resulted in a blaze in one of the rooms in the cruiser. Two fire tenders were sent to the spot and the fire was brought under control in a matter of few minutes. Officials said some furniture’s were damaged and one ship crew suffered minor injuries in the incident. “It was a small incident and things were controlled very fast because all our safety system is in place, “Heritage River Journeys director Vishnu Singh said. A shop in Hathikhana grain market in Vadodara, Gujarat was engulfed by fire. Edible oil and grains worth lakhs were damaged in the fire at Mahasagar Oil and Provision Store owned by Dipen Gandhi. The store sells grocery and other household items. “There were other shops and vehicles were also parked in its vicinity. However, no damage was caused to them. The fire seems to have been triggered by a short circuit. There were cans of edible oil, wheat, rice, salt and spices in the shop. The short circuit that lead to the fire was due to the lights that were not switched off,” said a fire brigade official. Sources added that it took the firemen nearly an hour to extinguish the fire. No casualty was reported in the incident.